That’s a big jump for Microsoft’s newest operating system, as if we look at the November figures, Windows 10 was still on 38.14%, with Windows 7 just ahead on 38.89%. Windows 8.1 also shed users, dropping from 4.59% to 4.45% from November to December. 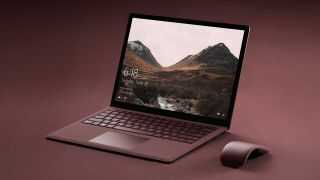 Obviously Microsoft will be pleased to see Windows 10 taking the crown from Windows 7, and doubtless this is some welcome good news and a respite from the continued problems plaguing the latest October 2018 Update for Windows 10. You might think that Windows 10 actually overtook Windows 7 quite some time ago, and that’s true – if you look at the statistics from rival analytics firm Statcounter, which compiles desktop OS adoption figures somewhat differently, and found that Windows 10 took the top spot back in January 2018, a year ago now. Still, it’s now clear that whatever figures you go by, Windows 10 is finally more popular than its predecessor. Although Microsoft clearly needs to work harder throughout 2019 to restore Windows 10’s reputation when it comes to upgrades, given the aforementioned bugs which are still dogging the OS even as we type.